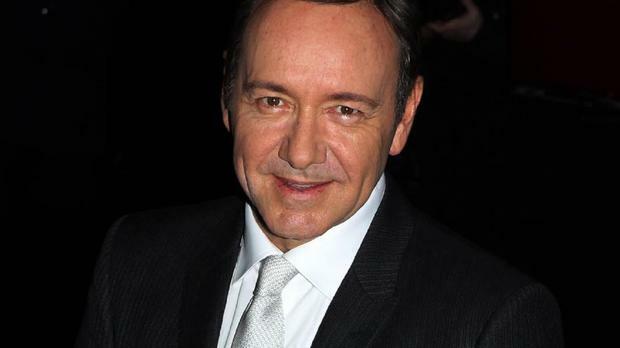 Kevin Spacey has revealed what he likes about theatre is his performance can always get better. The Oscar-winning actor's experience of bonding with the cast and crew while touring the world in his acclaimed production of Shakespeare's Richard III has been captured on the big screen in Now: In The Wings On A World Stage. Kevin said: "I think there are a number of things that theatre offers that film doesn't. One is just becoming a member of a company. "When you're on a movie nobody's working on the same day. Sometimes you're working with one actor one day and then you don't work with them for six weeks. "And also for me the biggest difference is I always think that no matter how good an actor may be in a movie, they'll never be any better. It's frozen in time. "But in theatre you can be better. I can be better tomorrow night than I was tonight. I can be better in two weeks than I am tomorrow night. "That's the joy of it, is the experience of making it better, of always making it better. That's very exciting to do." The House Of Cards star also shot down rumours he is going to appear in the new James Bond film. It was reported he will appear in the next film, directed by Sam Mendes, who he worked with on Richard III and American Beauty. But Kevin said: "In all honesty if I was doing a James Bond movie I would want to tell the world. I am not doing a James Bond movie. No one's offered me a movie, no one's even shown me a script. So I don't know where this story came from. "I wish it was true, but it's not." Now: In The Wings On A World Stage is released in cinemas on June 9.